Before you think that I’ve lost my mind, Rob was surprisingly on board with my latest crazy idea of creating a massive framed chalk board wall in our breakfast nook. We had been toying with the idea of what we would do with the space for so long, and nothing seemed to satisfy my creative urges. I stopped mid scroll on Pinterest one morning over my morning coffee and looked up at the wall – that was it! I pitched it to Rob when he got home from work. Surprisingly, he loved the idea, and I rushed to Home Depot to get the supplies before he could change his mind. 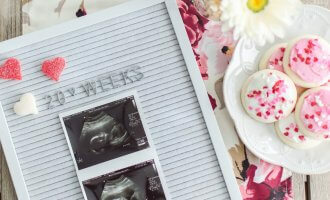 Ever since I posted about our chalk board wall project on Instagram, I’ve gotten so many messages dying to know how it turned out (and how we did it!) 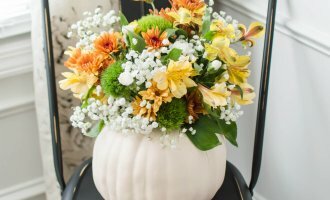 You won’t believe how easy and inexpensive it was, and I can’t wait to share the tutorial with you today here on the blog. 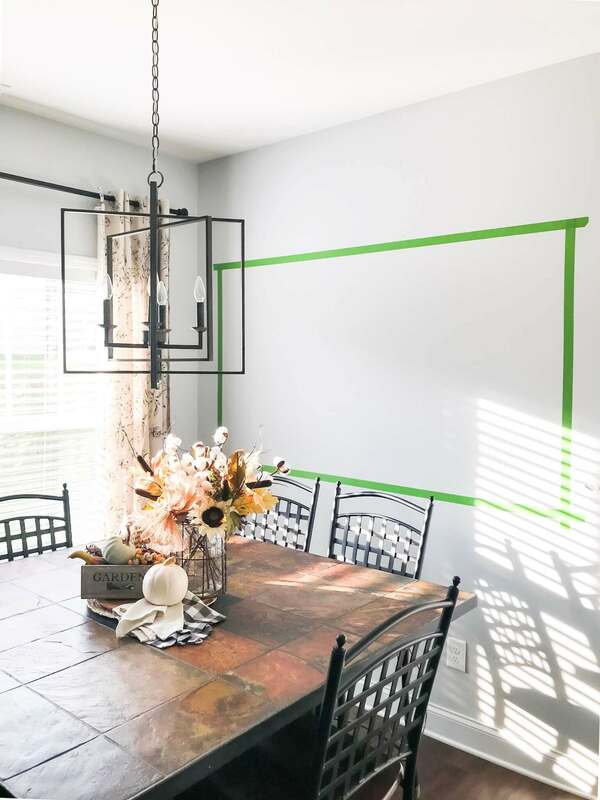 Before you do anything, it’s super important to map it out on your wall with painter’s tape. (We prefer FrogTape!) 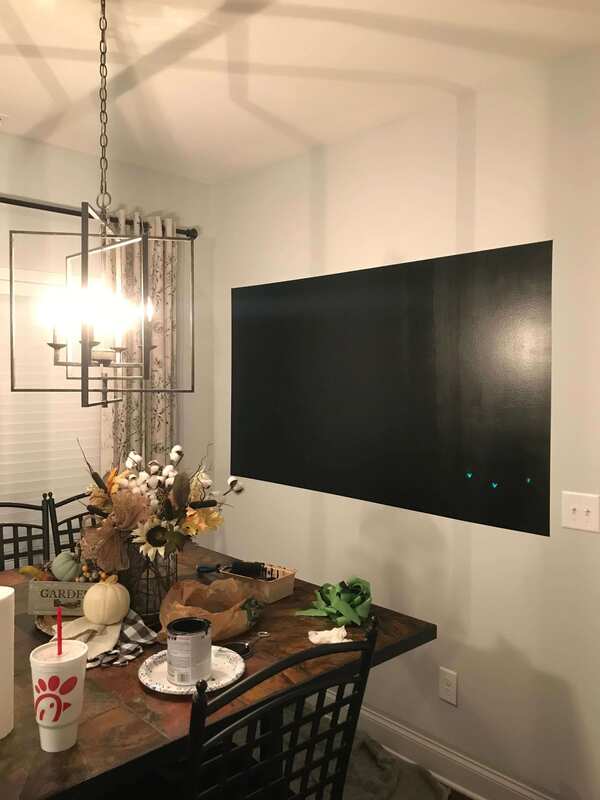 This way you’ll have a visual just how big or small your chalkboard wall is going to be. It’ll also help you keep straight lines while you’re painting. When it comes down to it, there’s basically two schools of thought to mapping it out: Measuring or Winging. Rob is definitely the measure-everything-kind-of-guy. Meanwhile, I prefer to wing it like I ‘wing’ my eyeliner. (Bad joke, I know.) It drives Rob insane. So, I didn’t initially map it out based on a set measurement that I wanted the chalkboard to be. I knew how I wanted it to look in my mind, so I just adjusted the length and width until it looked perfect when I took a step back. I definitely just winged it and allowed Rob to go in make sure it had the same amount of wall on either side of the frame so it would at least look centered on the wall. Spoiler alert: I apparently eyeball things extremely well. After we got it mapped out, we did 4 coats of black chalkboard paint from Rust-Oleum with a foam roller designed to give a smooth finish like this one. We did it on a Friday evening, so I let it dry for about an hour between each coat while we were eating dinner and watching TV. After doing 4 thick coats, I went ahead and removed the FrogTape to get a preview of what it looked like. At this point, there’s no going back. There’s not enough primer in Georgia to cover that up. Good thing we loved it! In my personal opinion, I think the chalkboard wall looked extremely unfinished on our wall without a frame. We got some of our leftover 1x4s and cut 45-degree angles on each of the ends to fit them together. I stained them with Minwax stain in the color Provincial to give it a rustic look and bring out the rich, warm tones in our slate table. Rob then hung them on the wall with the nail gun and a level. 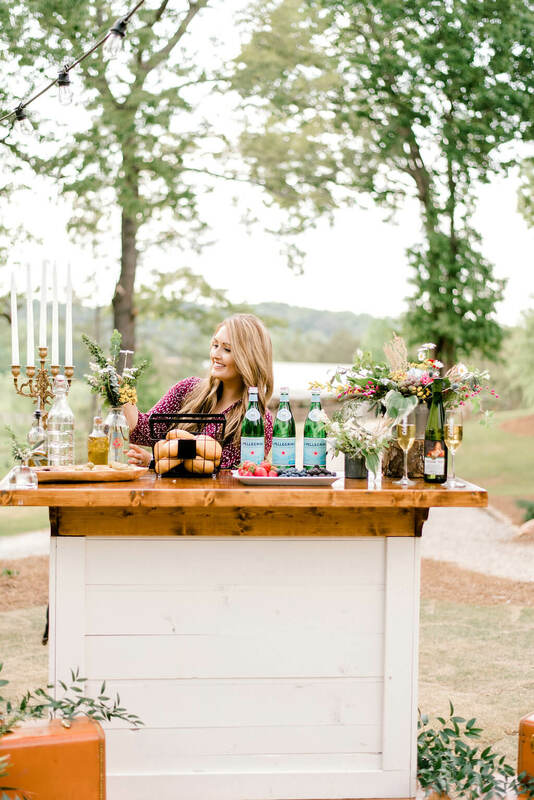 One extra fun step that we took was to add an upside down drawer pull to the bottom left part of the frame to act as a chalk holder! It keeps the chalk put away yet readily handy for whenever I want to use it. This would be especially useful if you were putting together a chalkboard wall with your littles! This step was definitely the hardest part. It’s super important to leave your chalkboard alone for about a week before you use it to make sure the paint is fully dried. The can of chalk paint said 3 days, but I decided a week would be safe since I did 4 thick coats of paint. After a few days to a week, you’re almost ready to get to writing on your new statement piece! 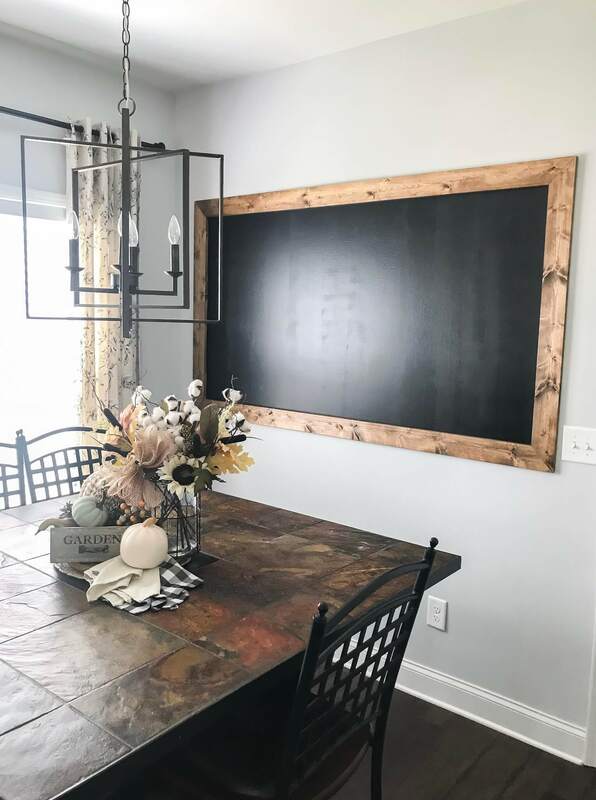 Before you use your new chalkboard, the chalk paint can also recommended to condition it by rubbing the side of a piece of chalk over the entire board and erasing it. They say that this will leave a coat of chalk dust that allows it to be erased the easiest. I’m not exactly sure how much of a difference this makes since I wipe it down after each use with a damp cloth, but it was recommended. I’ll let you decide that one for yourself! 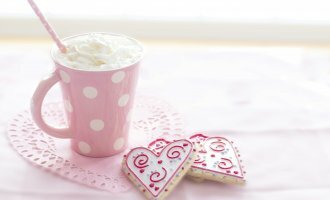 Get writing! 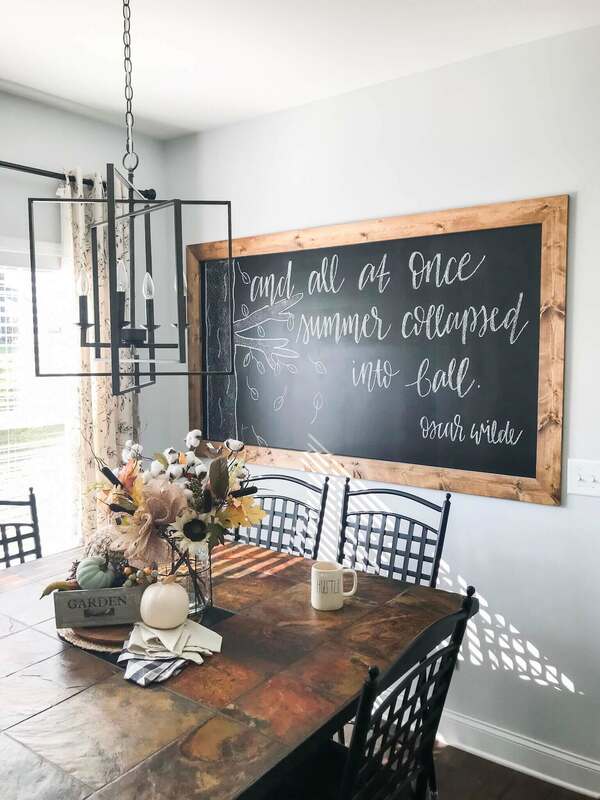 I love hand lettering, so our framed chalkboard wall is definitely the perfect statement piece in our home decor that channels my personality. I can’t wait to change it out with the seasons and holidays, and I can’t wait for all the memories that will be made in this little space of ours. You’ll have to stay tuned to Instagram to see it change as the year goes on! Now the question is: what should I write on it next? Well there you have it, friends! 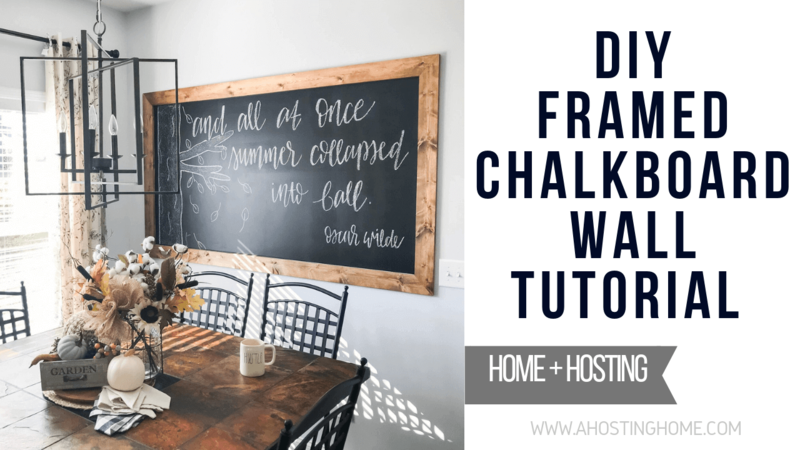 I hope you enjoyed this super easy DIY framed chalkboard wall tutorial. 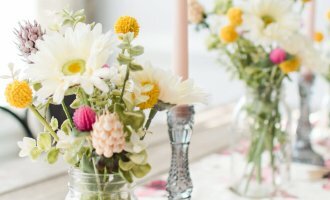 As easy and inexpensive it was, I have no idea why we didn’t do something like this sooner. 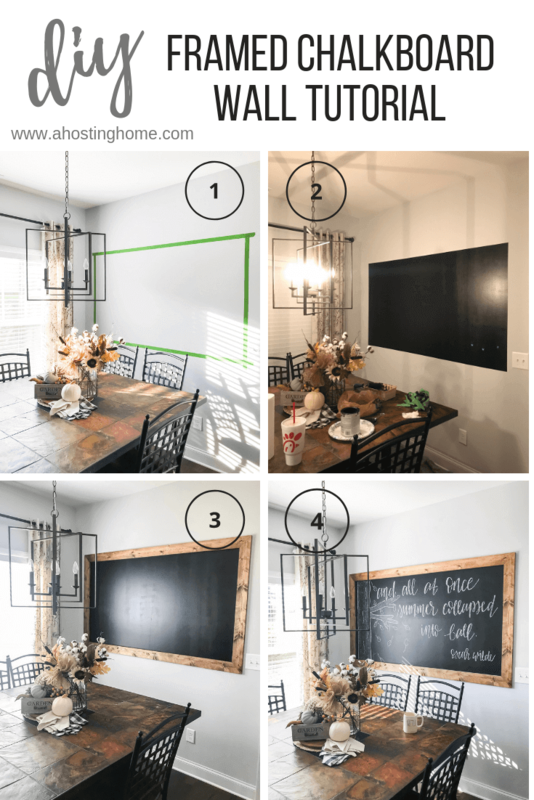 Are you dying to create a chalkboard wall in your home? Let us know in a comment below! I’ve always wanted one of these in my kitchen! This looks so great! I love he detail of the frame and drawer pull. I’ve been thinking about doing something similar in my son’s room. This is very helpful!